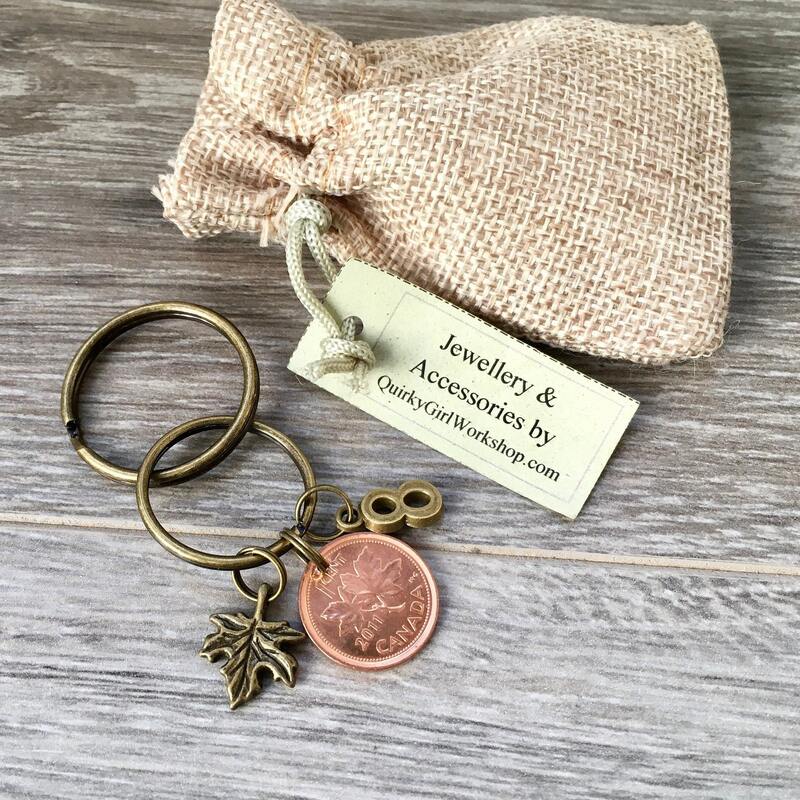 A perfect gift for an 8th anniversary or bronze anniversary. 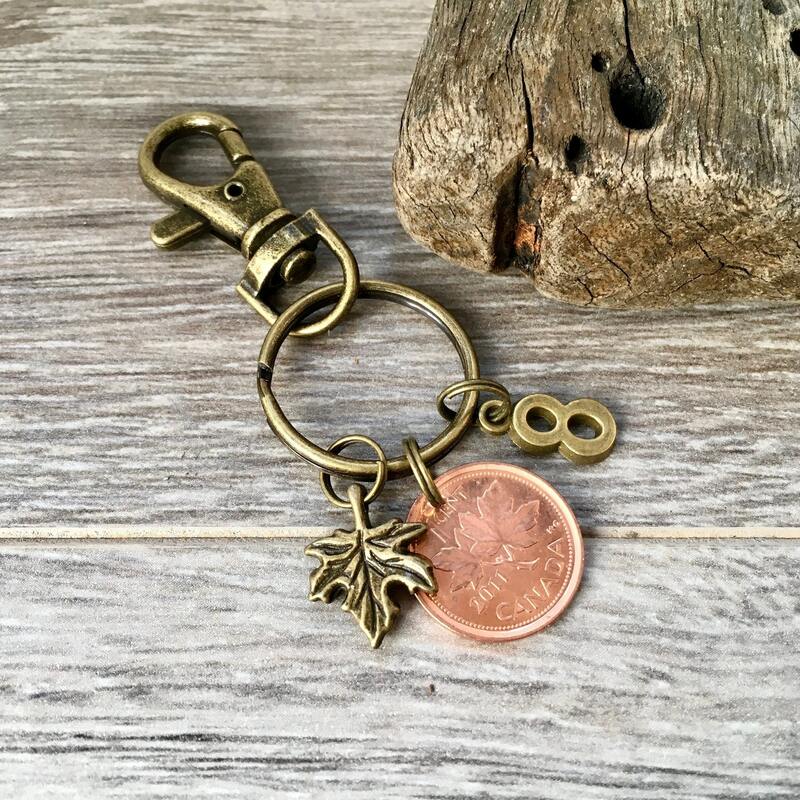 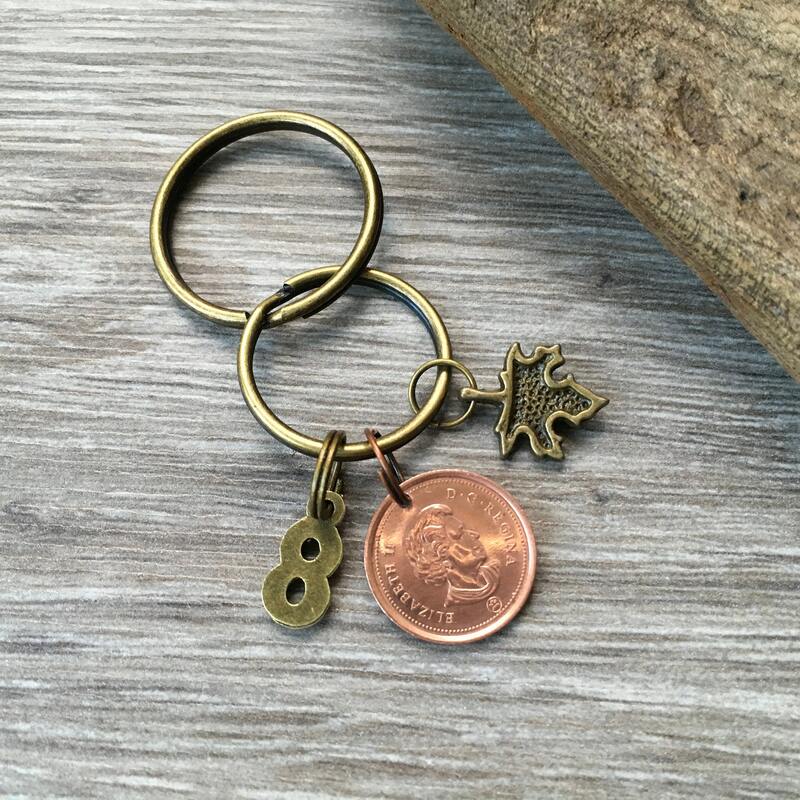 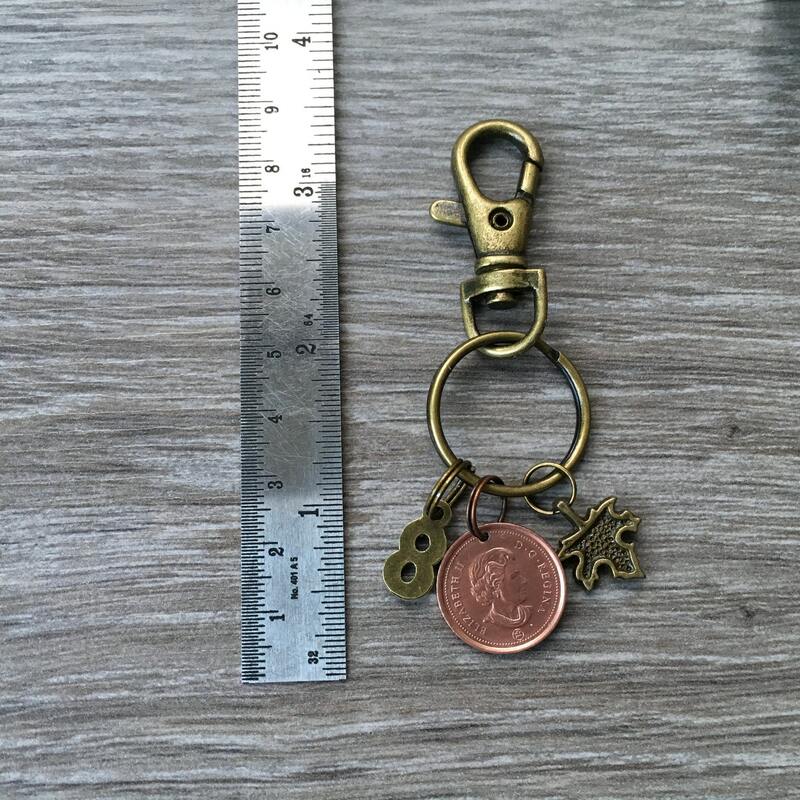 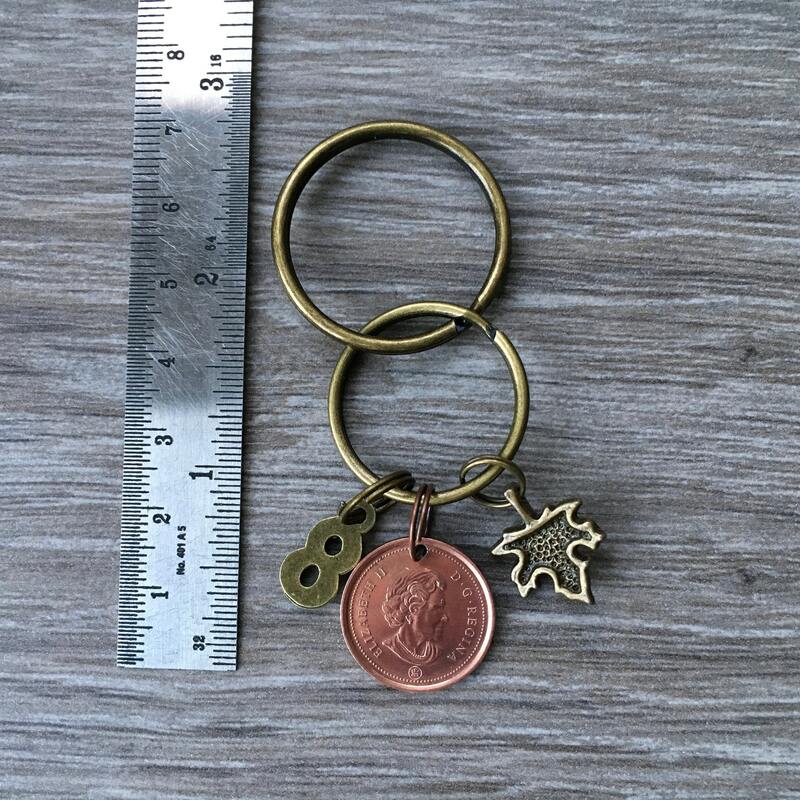 The coins that I use to make my keyrings are genuine circulated coins that I have sterilised and polished, they may have small marks or signs of wear. 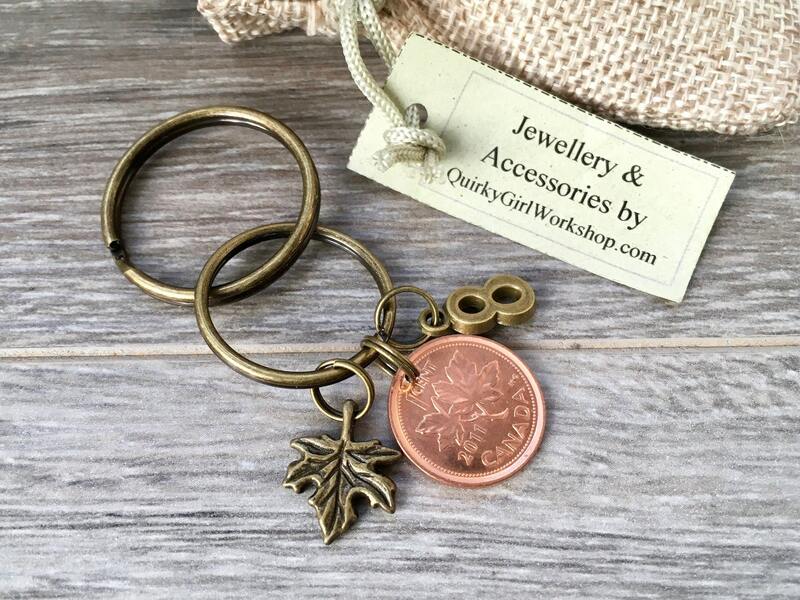 Every single item in QuirkyGirlWorkshop is handcrafted with care, is ready to ship and will be posted within one working day of receiving your order. 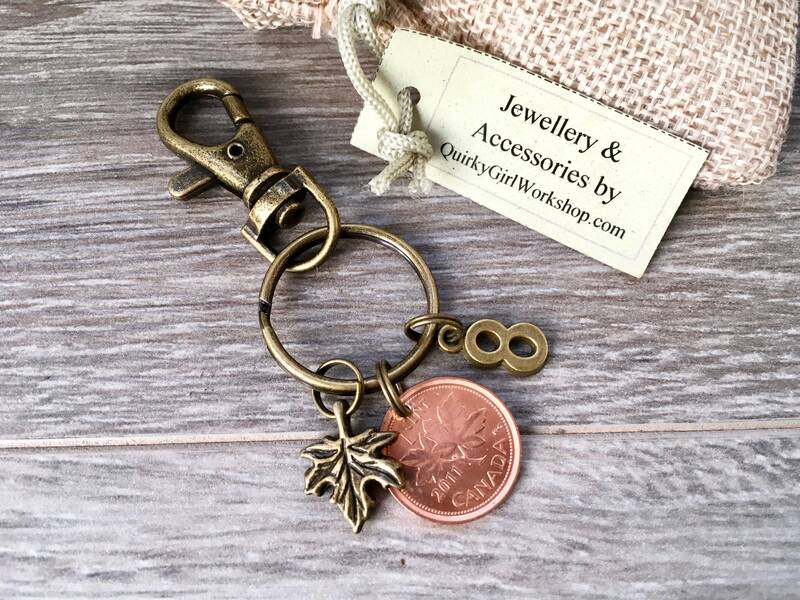 QuirkyGirlWorkshop offers two methods of worldwide shipping, to be selected at checkout. 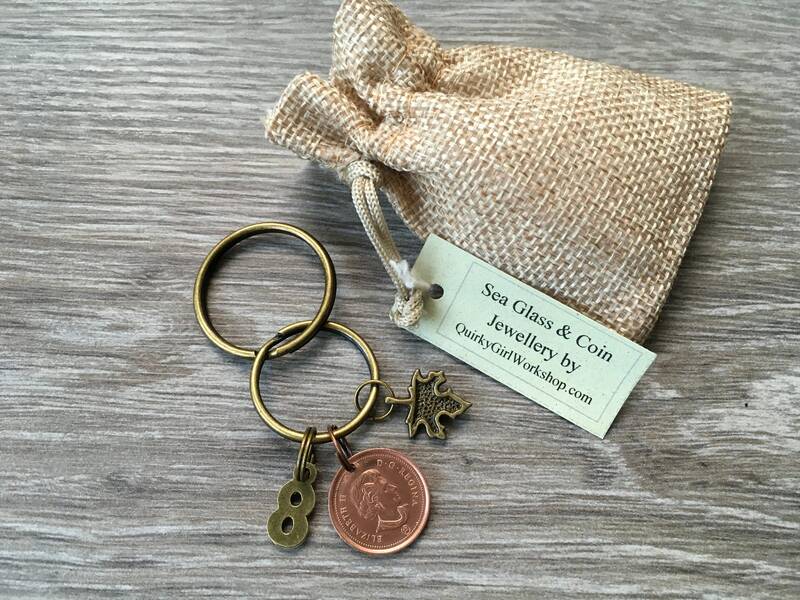 ‘Standard shipping' which does not include tracking and generally takes between 1-4 weeks.